Become an active part of your community and help our sons prosper in 2019. The P&F Association at Padua is really all the parents and friends of the College. The P&F has a Committee, nominated and selected by parents and friends of the College, who attend the P&F meetings. The P&F Committee coordinate and support wherever the school has needs, whether it be at social or sporting events, assisting with pastoral care for families in need, or sponsoring Padua boys who represent the College at National or International level. The P&F Committee is elected at the Annual General Meeting in November. The Padua Parent Community Care Program aims to provide very practical short-term assistance to families that find themselves facing disruption due to illness, trauma or other circumstances. Our mission is to help and support families during difficult times that can confront them when unplanned things happen. Please contact the P&F President or one of the Coordinators below by email if this help could be used by you or another family in need. The Padua College Foundation, established in 2003, aims to expand or maintain facilities at the College. It exists to fund the highest quality facilities for Padua’s students through donations from past students, parents, friends and supporters. A number of functions are organised to help raise the profile of the Foundation and increase membership. These events include the very successful Sportsman’s Dinners and the annual Race Day. 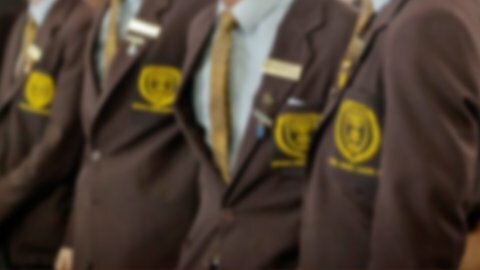 The Foundation works closely with the College’s Old Boys Association in hosting a number of these functions. All contributions to the Padua College Foundation are tax deductible as these are donated to the Padua College Building Fund. Donations can be made via the online payment system on this website.